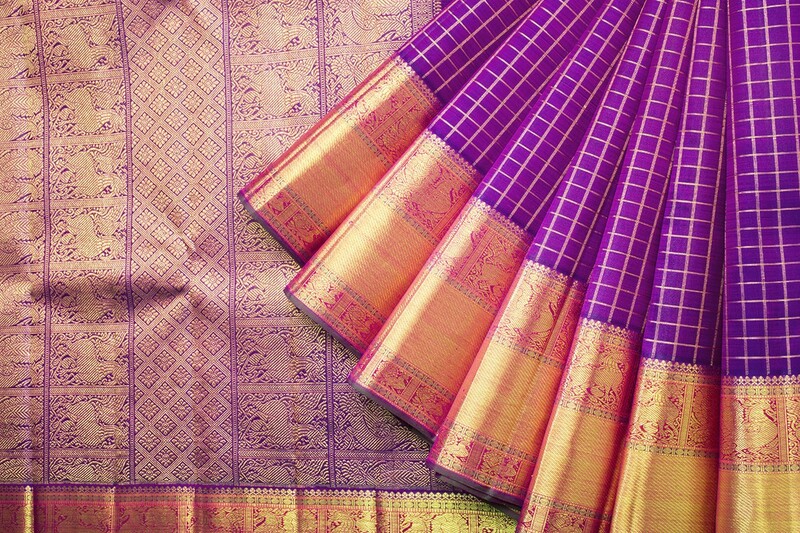 Today we are back with one of our favorite topics in the world – the gorgeous pattu sarees a.k.a silk sarees. We can see the dirty look dancing on your face! Seriously ladies we can never stop raving about this beautiful manmade creation. We have so much weakness for it and it is very evident from each post we have been writing over here. Keeping our feeling aside, let’s move to today’s topic. 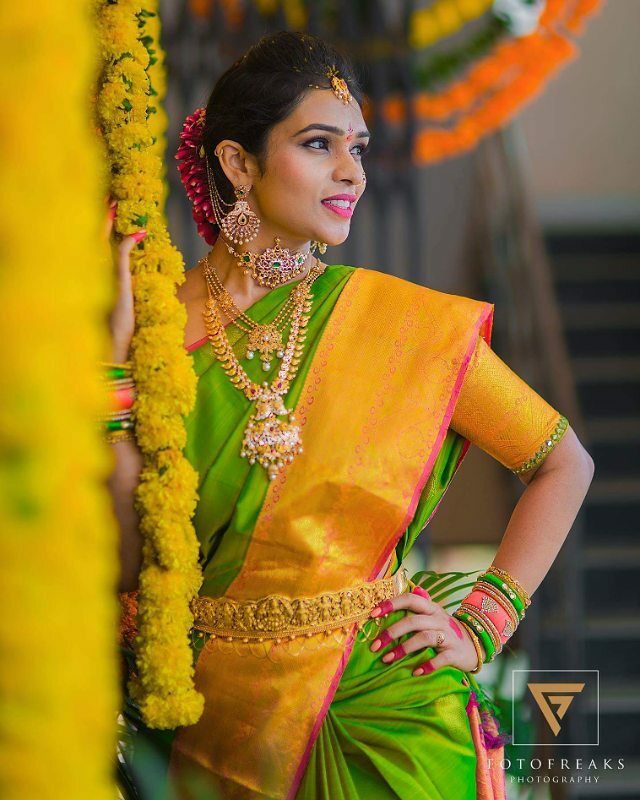 Often we were asked how do we find the latest pattu saree collections that are in trend. Well..we do have our system to pull out all the best designs out there. 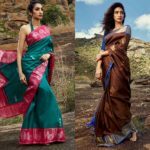 The most evident and easy way to find out the fine sarees is to keep a tab on leading labels and designers who are specialized in silk sarees. Going in detail on all those label might take the entire post so we have decided to write about it later. 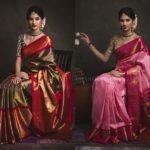 So today we are going to show you some hot looking pattu sarees from one of our favorite brand ‘Parisera’, which will give you plenty of ideas on silk saree selection. If you have been a regular reader of our blog, you would have known that we have already written a detailed post about Parisera here. 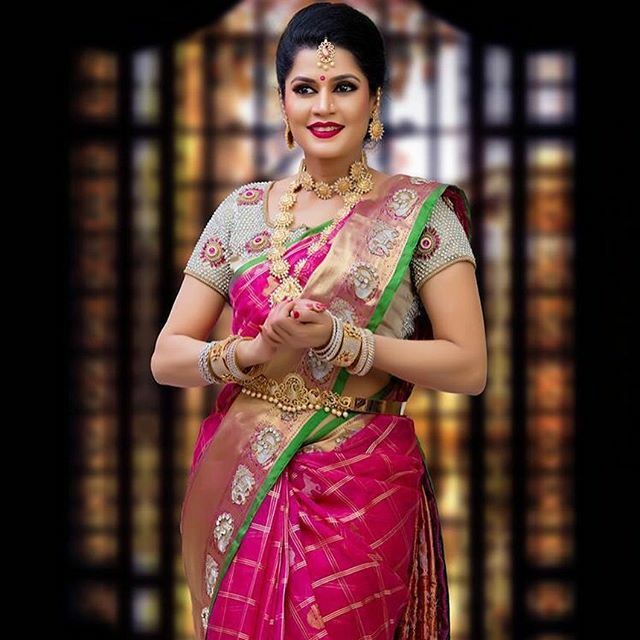 Now let’s move ahead and check out the pattu sarees that are going to instantly brighten up your soul. Ready? Let us introduce the most popular trend of this year- Animal Prints! 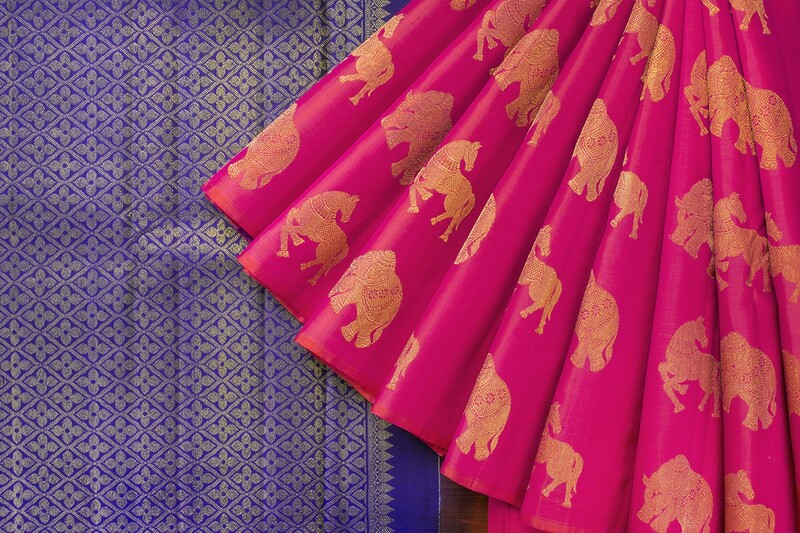 Bold elephants, lions, tigers, and horses woven on our heritage sarees is the currently trending design. If you doubt us, take a good look on any celebrity’s latest saree style, you will know the truth. 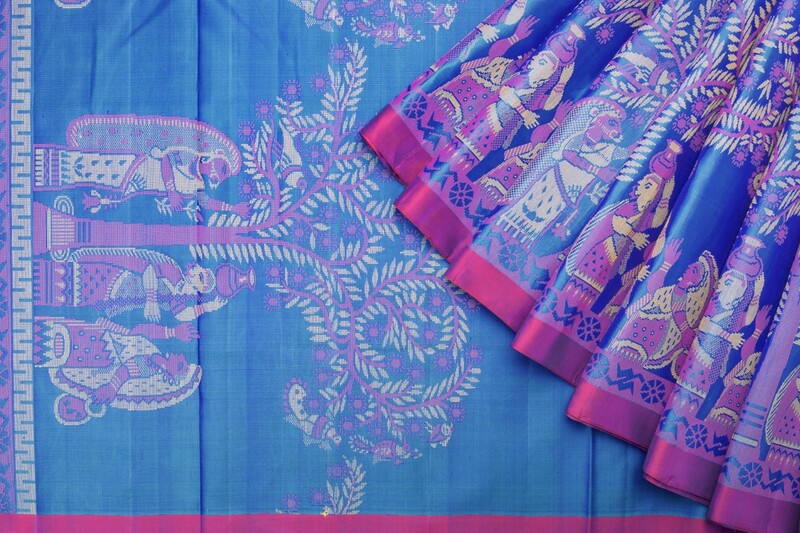 When it comes to silk sarees, certain patterns and designs are going to stay here forever. They remind the strong bond we have for these sarees. One such evergreen design is the checkered sarees that not only makes us fall for it but have also remained a favorite to our mom and grand mom. 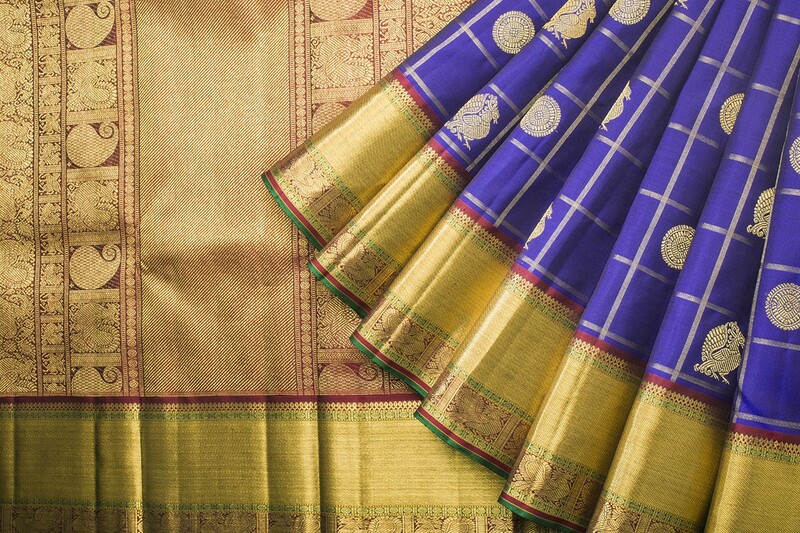 Your collection of Kanchivaram silk doesn’t end without the presence of bold buttas filled traditional drape. Even though our silk sarees are modernized to fill the needs of contemporary women, these classic buttas have never lost its charm. 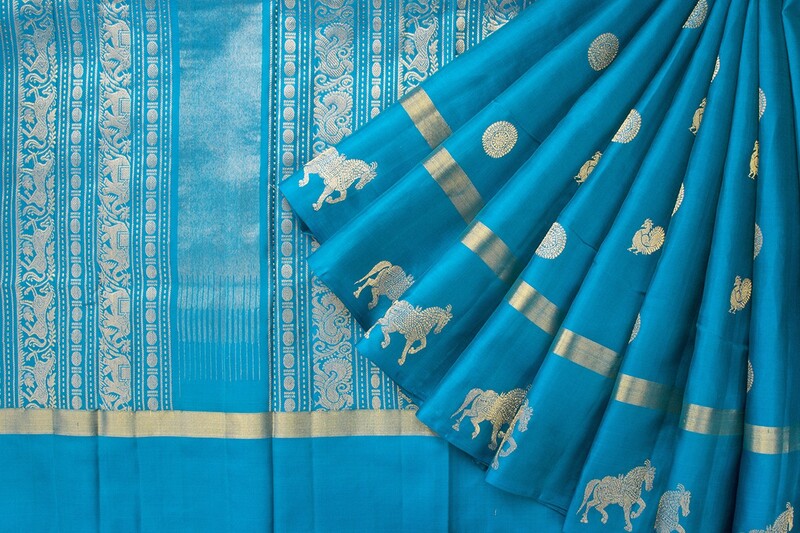 Another timeless silk saree design is having bold big boxes filled with favorite shapes like mango, peacock or even buttas. 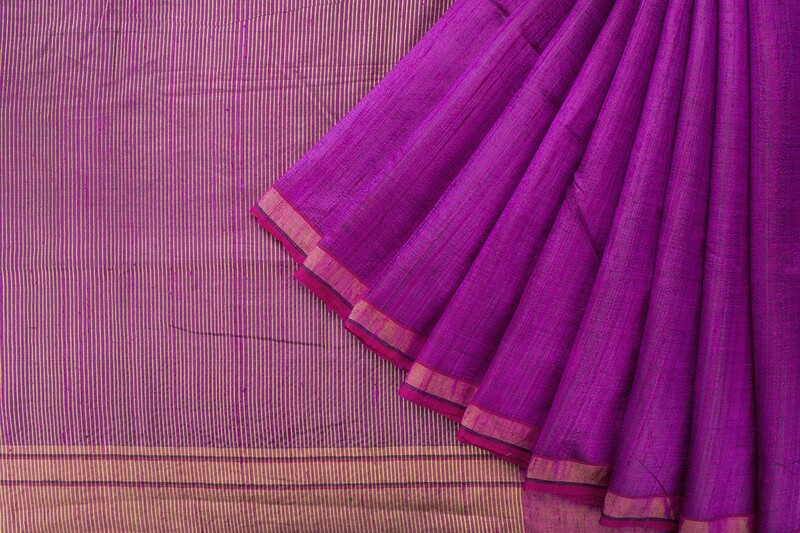 When these are itched in a vibrant silk weaves, our eyes are treated with treasure for sure! 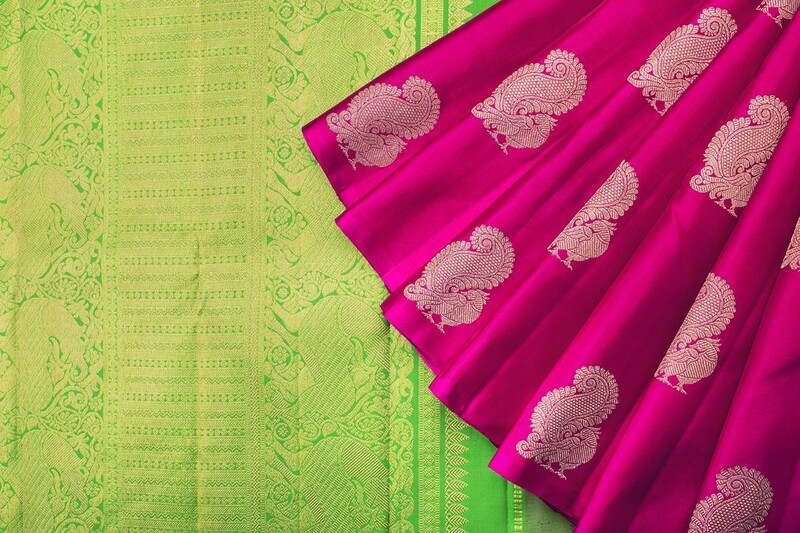 This season you will see more dual color silk sarees taking its own share of limelight. 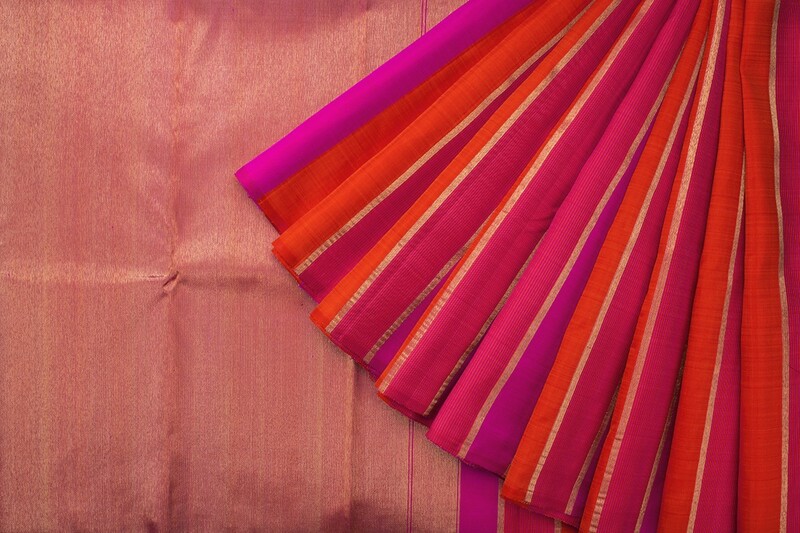 Two delightful colors blending effortlessly in a exotic silk saree is sure going to be a mind-blowing ensemble to wear. 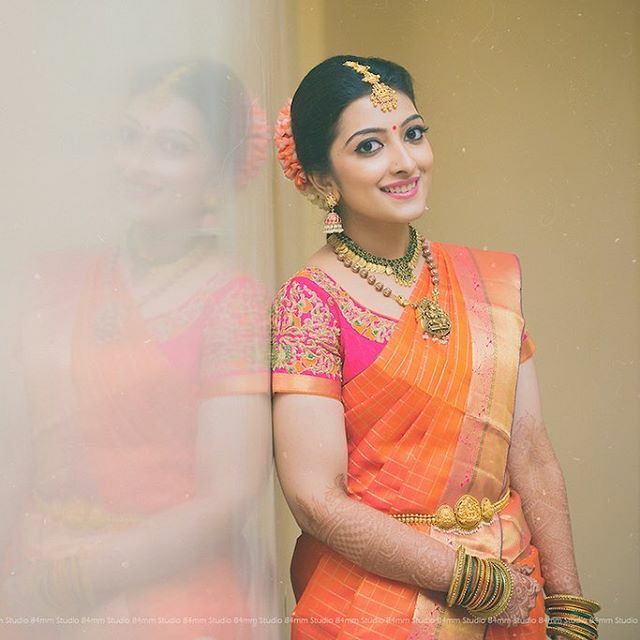 Simple vertical or horizontal lines in traditional pattu saree are definitely not a new thing for us. 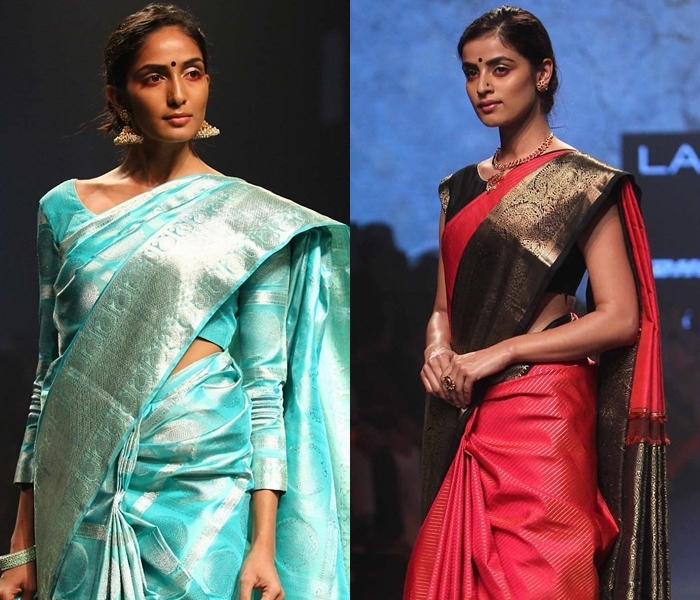 However, the point to be noted down here is, still stripe silk sarees rules! Thanks for present fashion designers, these old patterns are being given modern spin to retain its appeal and it most surely works! This is an era of getting your outfits in the most personalized way possible. 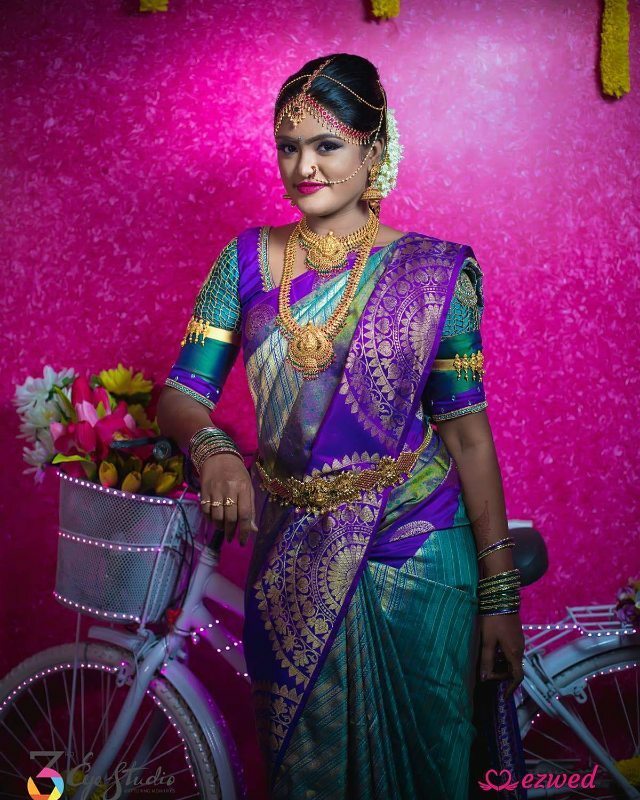 A saree is not just something you wear for a day and forget about it. It also speaks for who you really are and what your personality is. To get deeper with your attires, you do need to try silk drapes with customized patterns. 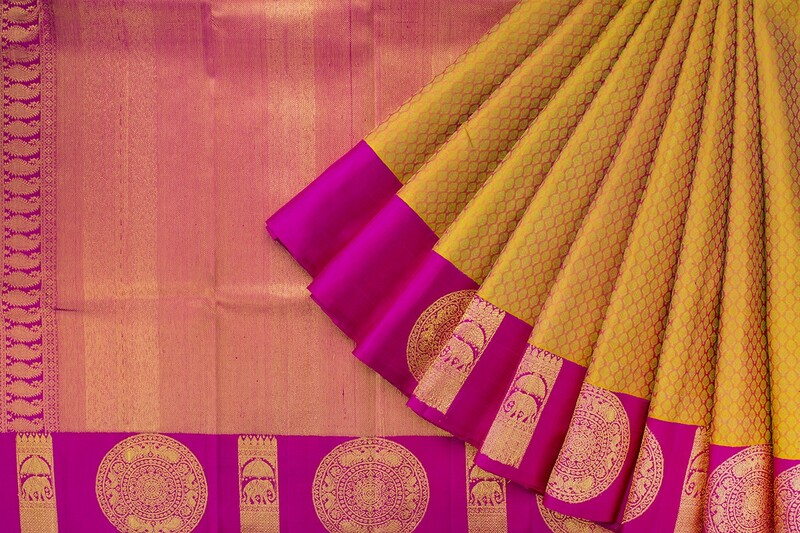 If you are the bride, why not invest a bit and make your marriage sarees a memorabilia? 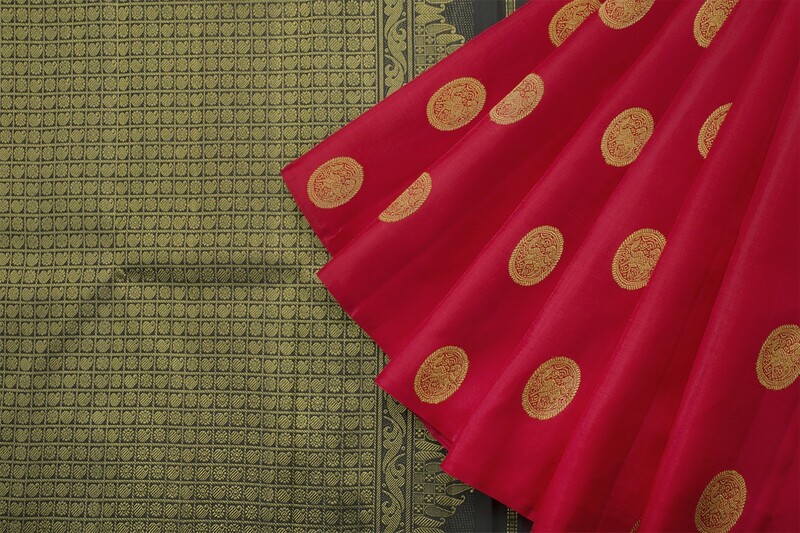 Earlier silk sarees are envisioned to be a colorful drape with thick zari border for a lustful look. 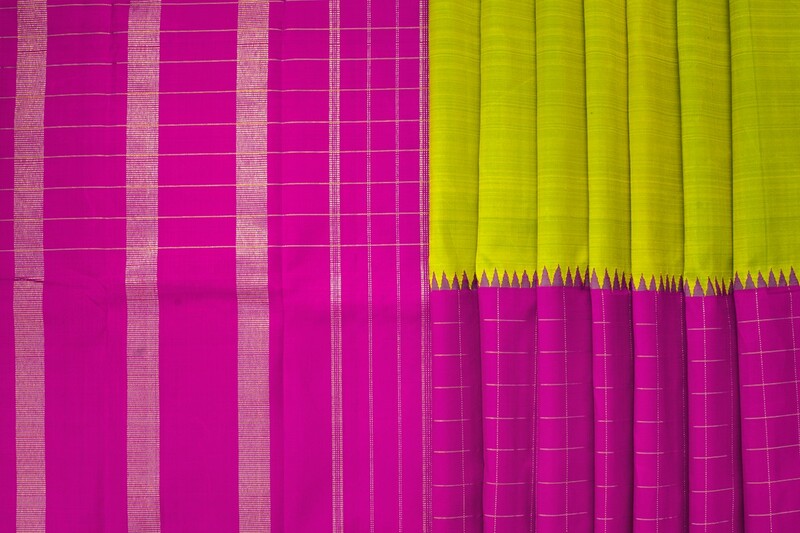 However, a lot have been experimented in the border section to give a fresh spin to the sarees. So if you want to steer away from classic hues and patters, do shop silk sarees with interesting border work like one below? 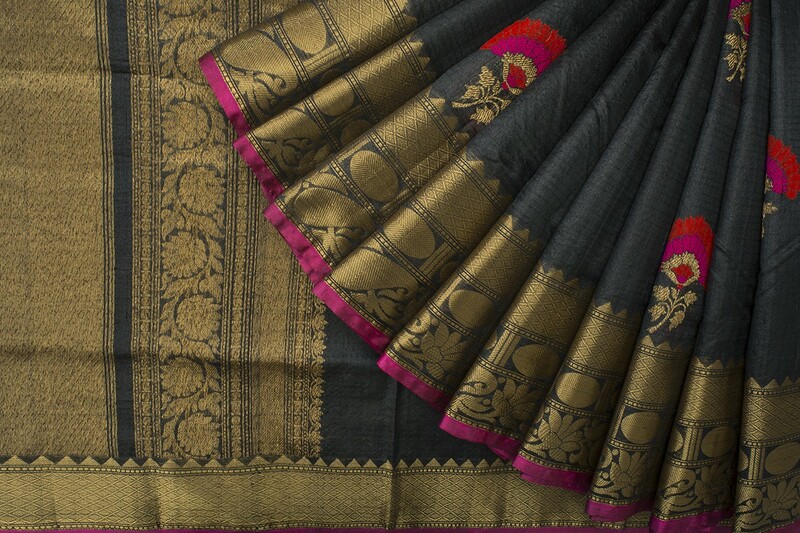 Again this is another timeless sarees fromthe long forgotten era but never stopped us from coveting it. 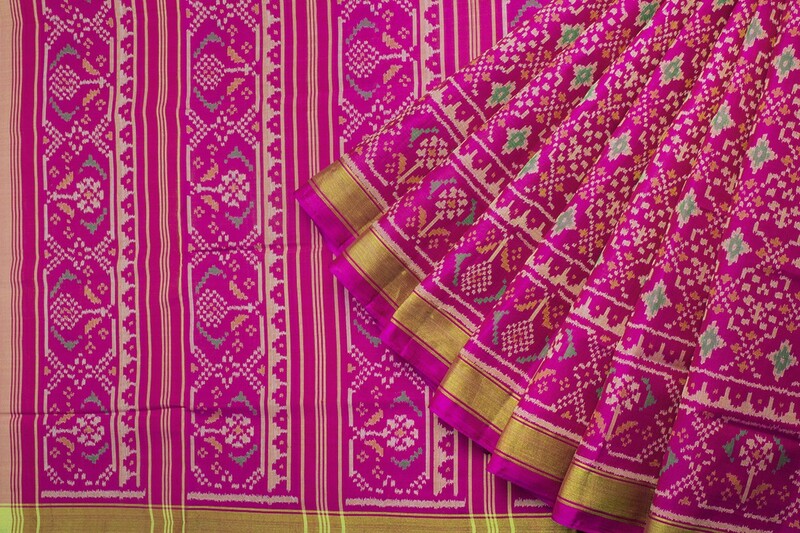 If you have been drooling over your mom or grand mom’s saree collection, chances are you have your eyes set on these temple border sarees. But luckily you can get your own fresh version of this saree which are being retailed out now by popular labels. 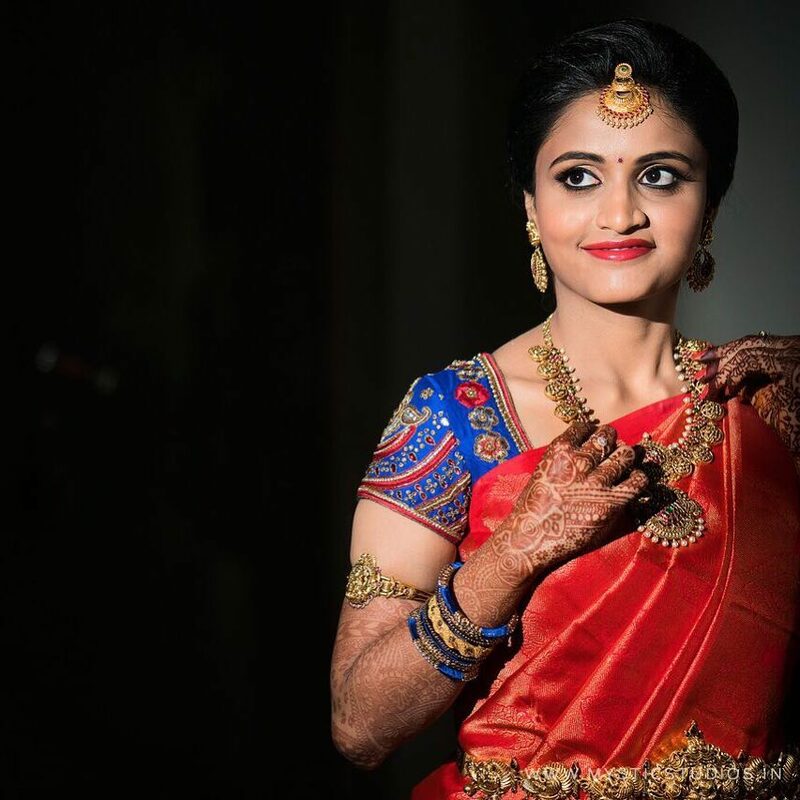 These are few latest pattu saree designs that you should check out. Wait! 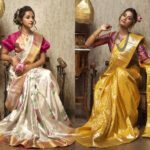 Before you go ahead and explore them more, we also like to show you some more silk saree trends to make your choices better. So far we have only seen some designs. However there are other factors that should also be considered before you go ahead to shop. From the border style to innovative color choices, a few more details will help you figure out what that is. 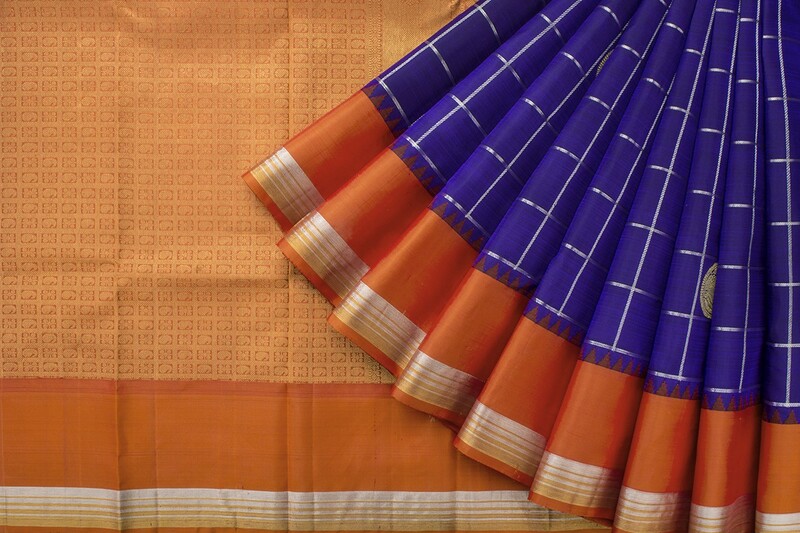 If you like a trendy look from your silk sarees, when you shop them, focus on the borders! 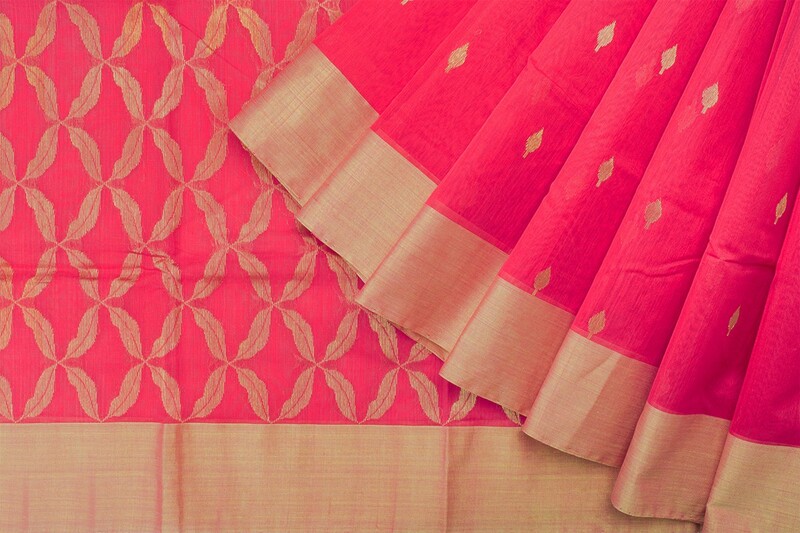 A striking border will make your saree look stand out! 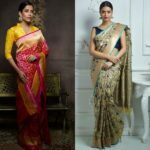 When it comes to silk sarees, half of the work is done if you pick the right choice of colors for your saree and blouse. It’s quite comfy to get blown away by classic red and blue. But please be open to vibrant and unusual color combinations because that’s what will make your saree style totally riveting. 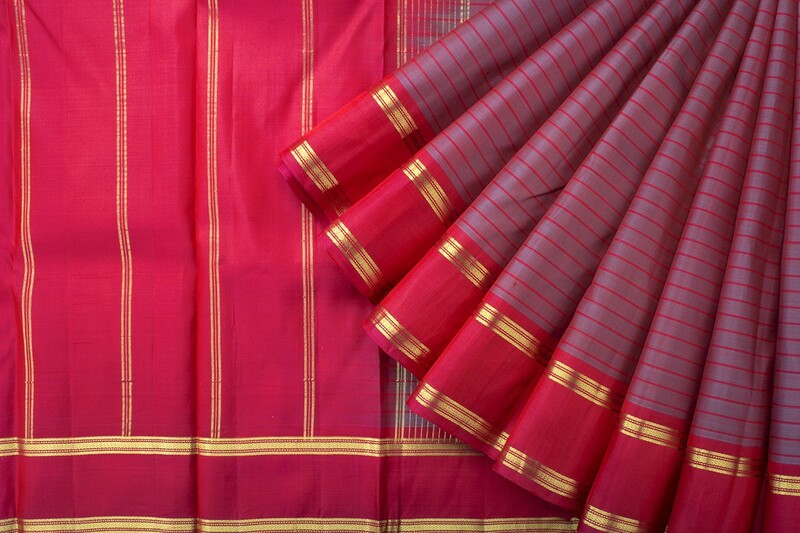 Silk sarees are known for their exquisite border and fine details woven there. But there is also another side to it. 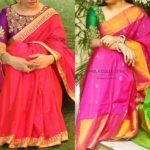 Bright pattu sarees with no border detailing can also be a wonderful choice to wear this season especially if you like to go easy with your sarees and want to look simple. 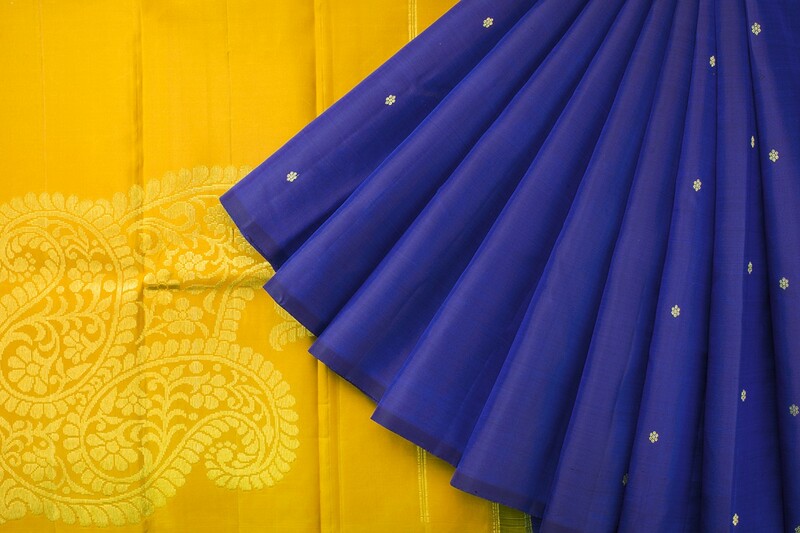 Next to no-borders, you can even try plain color block borders on your silk sarees. 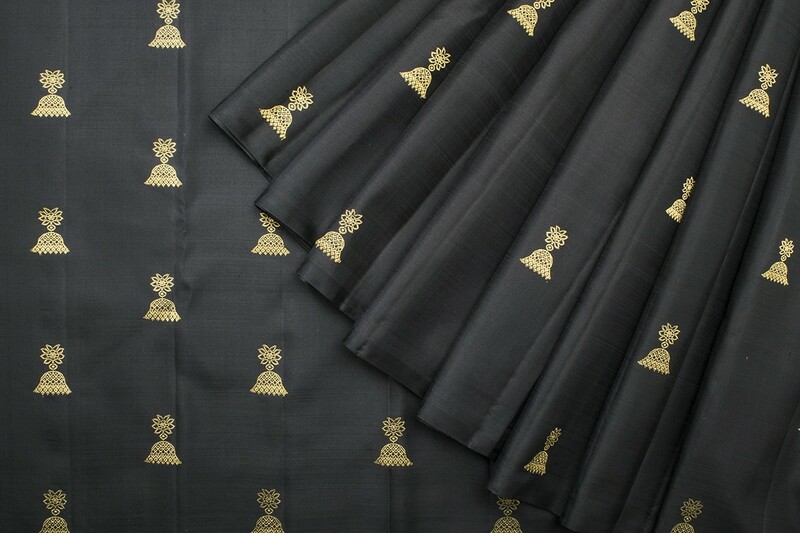 Needless to mention, these sarees are apt choice for those who love to dress up in subtle way rather want to goad them with plenty of zari work. 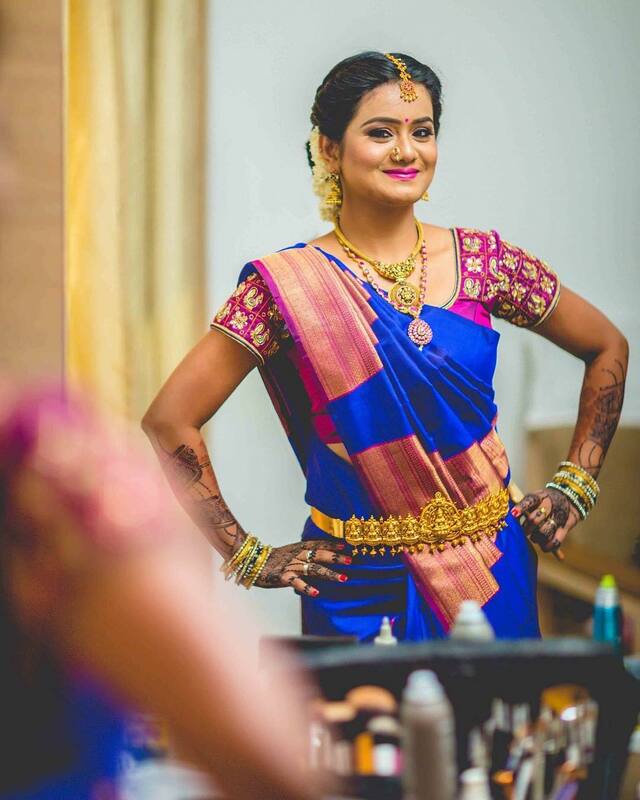 Still a part of women would never want to compromise with the idea of silk saree with no thick zari border. Quite understandable considering the lovely drama it adds to the saree. If that’s the case, then you can try a bit of experimentation here too. Instead of the default gold zari work, how about something like below. 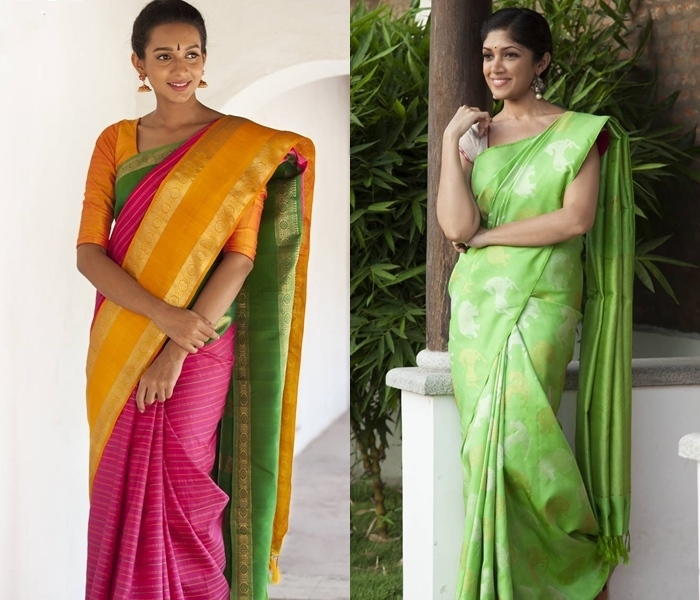 Yes, there are some areas you need to keep an eye on when you shop silk saree this year. Why? 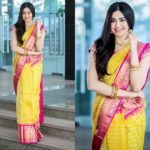 Because instead of investing your bucks on same style over and over again, if you experiment on the sections we have been explaining about, you will most surely buy a new pattu saree that you have never explored earlier. 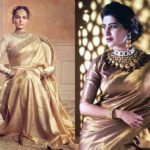 Wait..we have been only showing you our love for Kanchivaram silks here, but when it comes to silk saree, the radar is big. 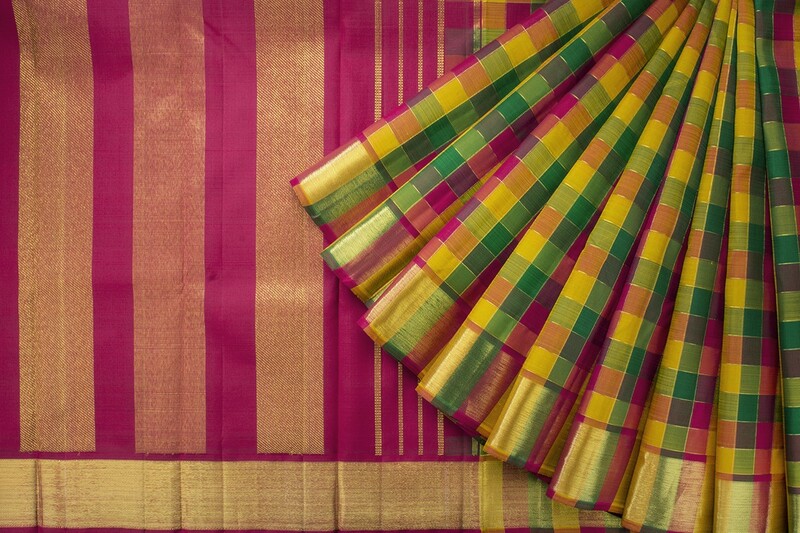 There are whole lots of other traditional pattu saree category out there which you need to know. Some other lustful designs are below. We will talk about them in detail on the coming post. So right now just take a sneak look on them. Now without a proper inspiration, we can’t end this post. 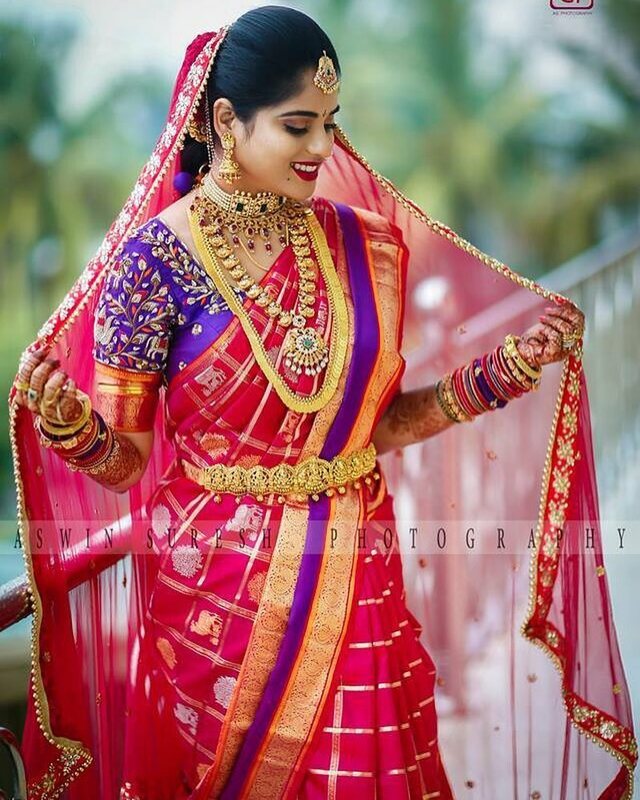 So went right ahead to Shoptzers (a wedding planner site) to draw real inspiration from the brides so you will get a clear picture on how exactly would these pattu saree design would look on a person. Check out the visual feast down below. Okay..time to wind up! Ah it hurts to stop talking about silk! But we have to close this write-up. Do think about all the latest (and also classic) designs we have discussed here. Do also check out the 23 latest color combinations in silk sarees here. 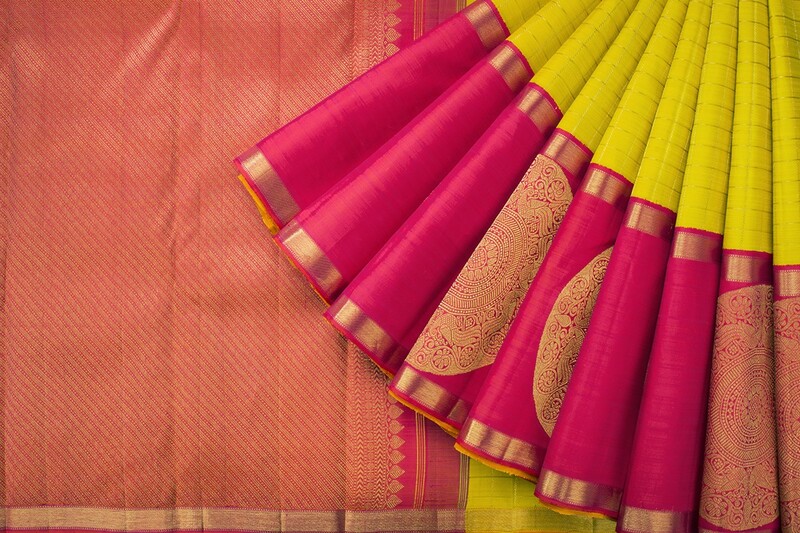 Now time to share your ideal silk saree design with us. Do drop your comment on the box below and discuss with us. Previous articleTake Iconic Silk Saree Blouse Inspirations From This Label! Next article27 Designer Blouse Patterns That Will Look Amazing on You!